Wedding Photography Ramoji Film City – ” The Man Made Heaven” witnessed the Grand Celebration when Abhishek tied the knot with Nikita at Ramoji Film City, Hyderabad. It was a perfect Majestic- Thematic Wedding. Hence a perfect royal wedding with stunning Wedding Ensembles, Entertainments and Grand Decorations. An Extravagant 5 days of Celebrations also. 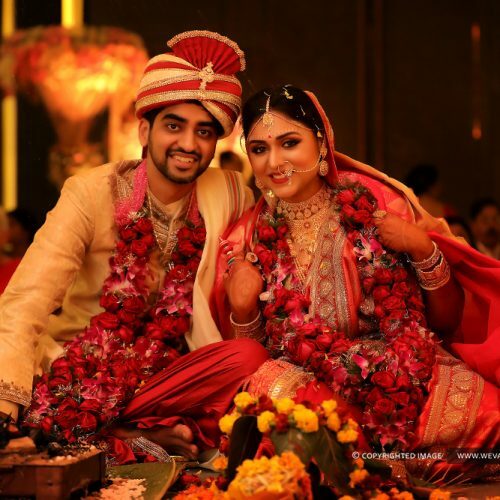 The Celebrations kick started with the Traditional Haldi Ceremony, where everyone blessed the cute couple followed by a grand Bachelor’s Party, an intimate evening which marked a powerful union also. Then comes the Carnival Day, it makes the Wedding entirely splendid. The whole day full of games, photo booth, music, dance especially relevant.. Therefore, Weva picked up the beautiful aspects of this Grand Wedding.. At last it becomes a memory to be cherished forever!!!. So Congratulations Abhishek and Nikita..